Matt got a new iphone this week to replace his old and frankly knackered iphone 4. 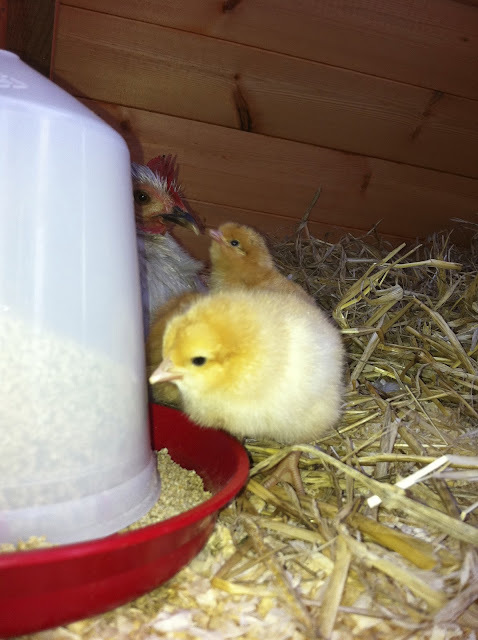 Whilst transferring his 250+ photos onto my laptop I found some pictures of our Buff Orpington chickens the day they hatched and it reminded me that this time last year I was anxiously awaiting the arrival of our first feathered babies! 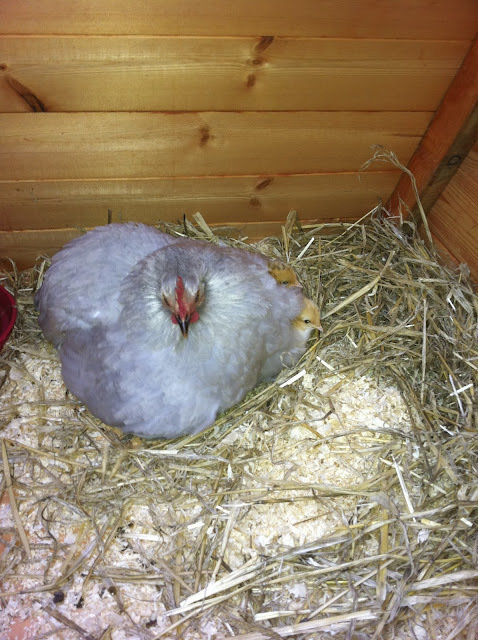 We had five bantam hens at the time and one of the lavender ones had gone broody. 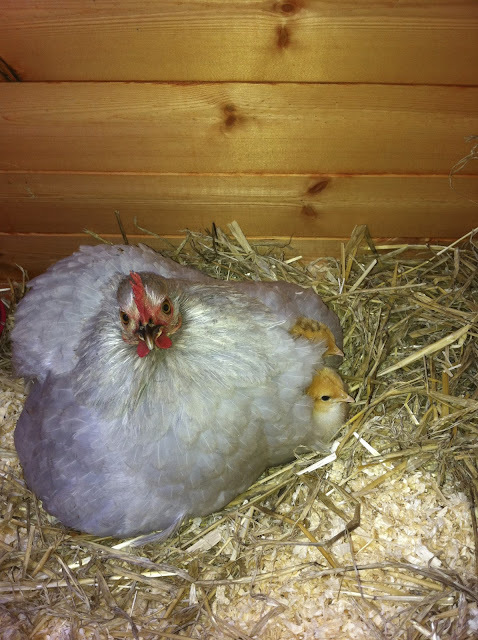 This was my first experience of a broody hen and I was determined to have a go at hatching some chicks. I trawled eBay and found a batch of six fertile Buff Orpington eggs from a seller about 10 miles away. I picked them up that night, the 1st April, carefully transported them home and prepared a 'brooder' for the mother to be - the sleeping box from the old coop which our hens had outgrown. I filled the box with a bed of shavings and made a cosy nest out of fresh straw. With the addition of a chick feeder and drinker, we were ready to roll! The sadness wasn't over - unfortunately this mother hen was so vigilant at trying to keep her babies warm that she inadvertently squashed one. So we ended up with three babies out of six eggs, with a four out of six hatch rate. Not bad for a first attempt! 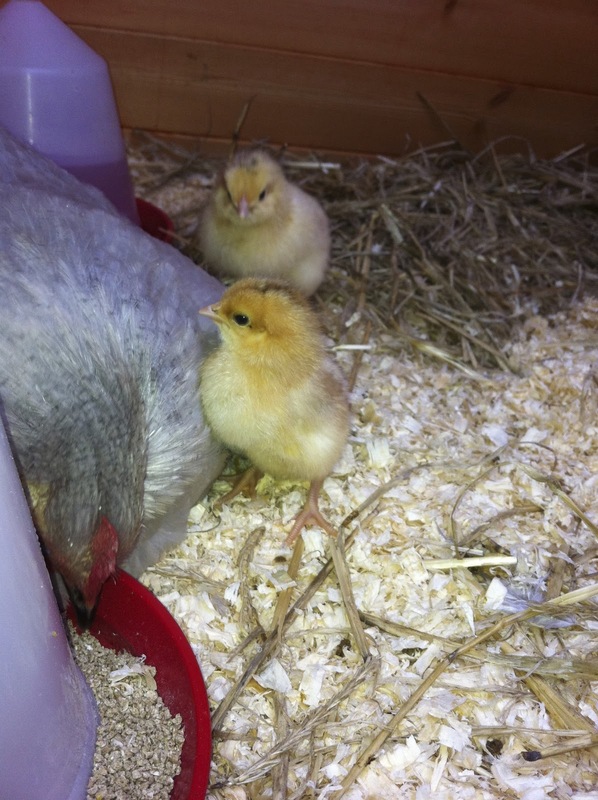 Looking through these photos has made me broody for more eggs to hatch!